Read more stories about figuring out your future career at UC Davis. You’ve got a midterm on Thursday and a paper due next week. In the back of your mind, you know you should be thinking about what kind of job or employer you want after graduation — but you feel so pressured. Here are five great reasons to take a deep breath and devote a couple hours on Oct. 18 and/or Oct. 19 to attend the Fall Internship and Career Fairs, put on by the Internship and Career Center at the Pavilion at the Activities and Recreation Center. We bring more than 100 companies, government agencies and nonprofit organizations to campus for four hours (10 a.m. to 2 p.m.) these two days (and at fairs in the winter and spring). Companies from Sacramento, the Bay Area and across the nation attend these events because they want to hire UC Davis graduates. For some employers, this will be their only time at UC Davis this year. 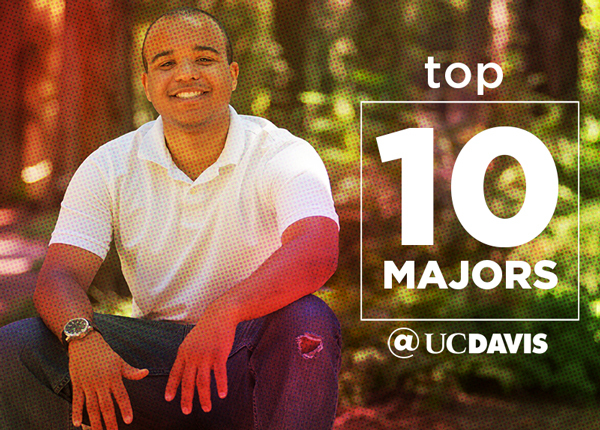 Most employers send UC Davis alumni to represent their organizations. Talking with someone who was standing where you are now, only last year, is not unusual. Learn how to enter the workforce from them. They come to keep that Aggie pipeline open and help you make a smooth transition. Generally, we see that our students and graduates take six to nine months to find a job. Many firms complete their college recruitment hiring in December and January. By starting early in the academic year, you will have more options. Whether you’re exploring career options or searching for an internship or career position, come learn about opportunities in person. These employees are working for a company that could be the next Google. You may learn about your dream job or dream company. And you will be exposed to new ideas that broaden your career horizons. And you can learn about and apply for positions that target people with your degree. The Internship and Career Center is here to help you connect with employers. We’re also here to help you make the most of the Internship and Career Fairs. We have workshops to help you get your resume ready and to follow up after the fair. Visit us in South Hall Monday through Friday, 10 a.m. to 4 p.m., or online any time. Marcie Kirk Holland is the director of the Internship and Career Center. As a first-generation college student with undergraduate majors in environmental conservation and Spanish (with a focus on literature), she is in a position she never would have dreamed of pursuing when she was selecting a college major.